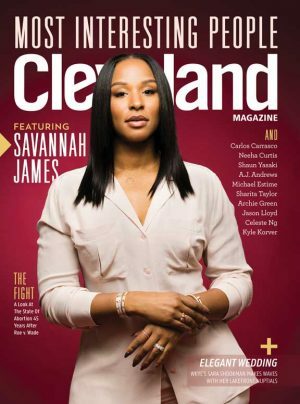 Cleveland magazine is a lifestyle magazine featuring a comprehensive calendar of local events, business news and political commentary on Northeastern Ohio. Cleveland magazine attracts readers who live and work in Northeast Ohio who are concerned about their city and curious about the issues and ideas that confront and involve them. As it has for more than 40 years, the magazine brings this prosperous audience a monthly editorial package that is at once thought-provoking, entertaining and relevant. From home-buying to health issues, cultural institutions to investigative reporting, it provides the information its readers both need and want in a stimulating, award-winning environment.